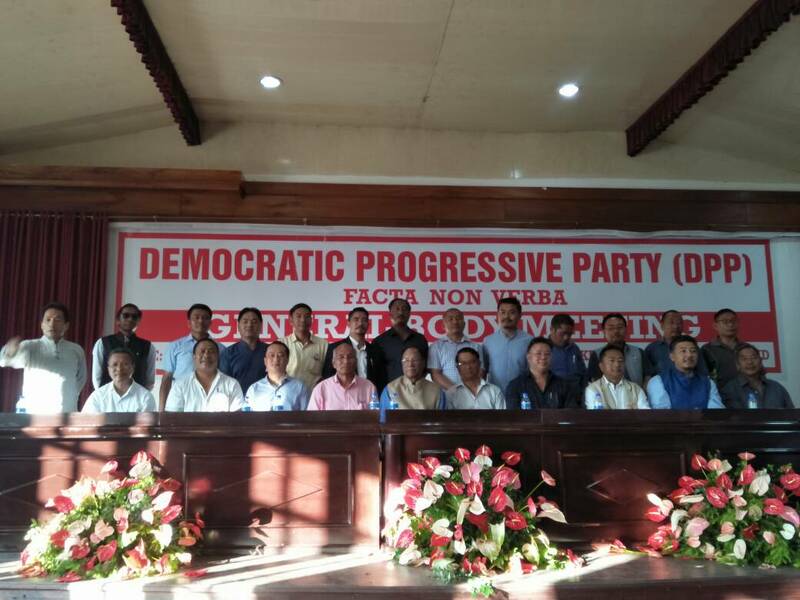 The Democratic Progressive Party (DPP) was formed today at Chumukedima, Dimapur Nagaland at the first General Body Meeting of the party. The General Body Meeting also elected the founding office bearers of the party. In response to the feelings of the masses, who strongly desire for formation of a new political organisation, the House has unanimously resolved to form a new political party to be christened as the Democratic Progressive Party to be known by the acronym DPP. The DPP unanimously resolves to strengthen the peace process and contribute towards realization of early, honorable and wholesome resolution of the Naga political problem. The DPP will leave no stone unturned in its efforts to mobilize public opinion and support that is aimed at achieving early political solution and the realization of genuine peace, real unity and collective brotherhood. The DPP will make all out efforts for strengthening of democratic principles at all levels of society and oppose corruption, violence and injustice. The DPP will stand for transparency, strive for respect of human rights and dignity, protect freedom of speech and expression, work for upliftment of weaker and marginalized sections of society, uphold gender equality and endeavor to protect our rich cultural heritage. The DPP shall combat social evils and work towards a society that recognizes merit, promotes innovation, supports creativity and allows art to flourish. The party and all its organs will continuously strive for emergence of the people’s voice, the realization of the people’s aspirations and will reflect the desire and will of the masses. The party will be regional in spirit, national in outlook and act in accordance with global issues and concerns that include protection of the environment and responsible actions towards climate change. The DPP has been formed in response to the call of the masses and accordingly the doors of the DPP are open for all those who aspire to work for the people and are willing to make efforts towards resolution of the political conflict and contribute towards bringing early and honorable political solution in the greater interest of all sections of society. Later, DPP President, Mr. Chingwang Konyak chaired the first Central Executive Board (CEB) meeting of the party, which was attended by all CEB members. The meeting resolved to work for peace and early solution of the political problem. The meeting also decided to begin the process of enrolment at the earliest after establishment of a fully working secretariat at the Central Headquarters of the Party, which will be situated at Chumukedima, Dimapur, Nagaland.